・If you are both traveler from abroad and non-resident who have stayed in Japan for less than 6 months, you are qualified to apply for exempt from consumption tax. 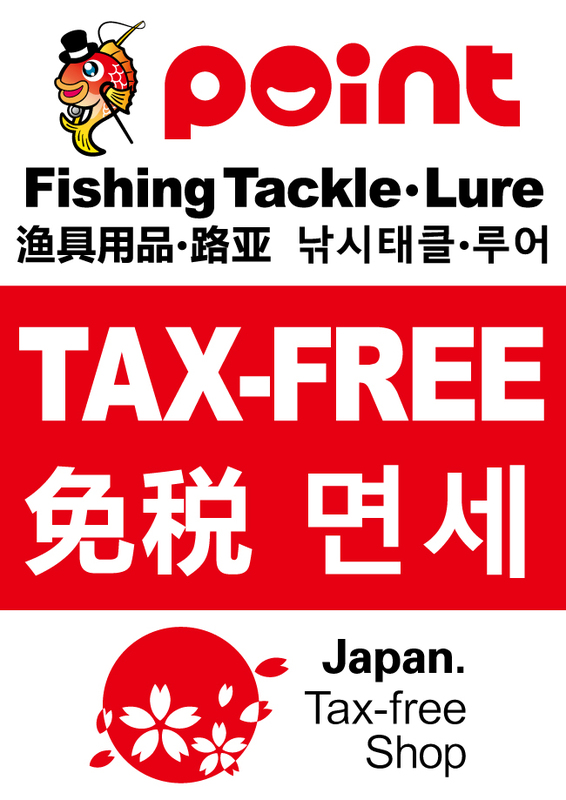 ・Purchase of fishing tackle(rod, reel, wear, and cooler, etc.) to 5,001 yen or more(tax excluded). ・Attention: In case you purchase consumables such as fish bait, paint(varnish), maintenance goods etc., you are not qualified to apply for exempt from consumption. ・You need to show us your own passport when we proceed procedure of tax exemption.